During the first six months of 2003, MinhTran Co. LTD. (a joint venture with Japan), in HochiMinh City VietNam, has successfully exported more than 11 million different electronic products to Japan. It is estimated that the number of its exports will more than double by the end of 2003, an increase of 30% in production compared to the prior year-end. 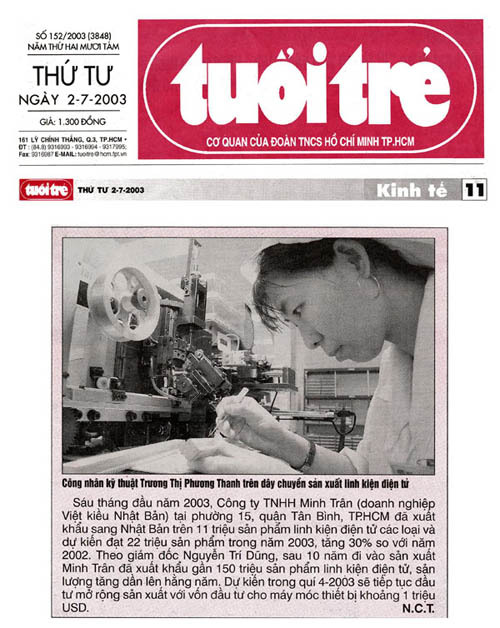 According to Mr. Nguyen TriDung, president of MinhTran Co., beginning in 1993, its production has increased year after year. For the last ten years the company has produced close to 150 million pieces of its products.